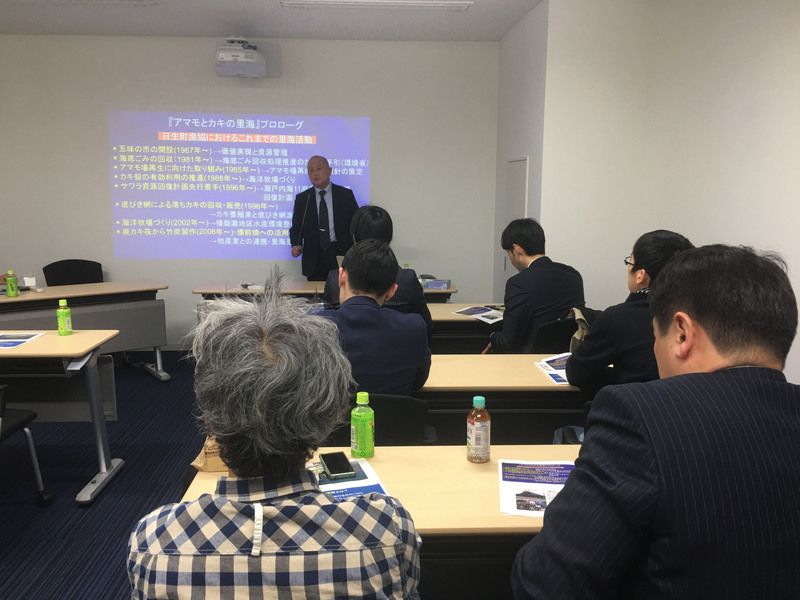 The fourth Satoyama Cafe, titled “Message from the Satoumi: Promoting Satoumi and Satoyama brands,” was held March 2. 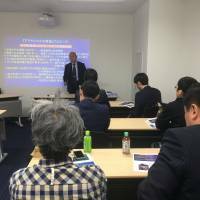 The keynote speech was made by Takehiro Tanaka, executive director of Satoumi Zukuri Kenkyu Kaigi (or the Nonprofit research council on building satoumi). Satoyama historically refers to an agricultural community’s shared woodlots and nature, but can now describe a movement involving these communities’ cultivation of natural environments for sustainability and profit. Several variations exist, with satoumi being the oceanic equivalent. Tanaka was a fishery specialist in Okayama Prefecture, serving as the section chief of fisheries before retiring. Naturally, Tanaka has deep insight on the promotion of fisheries and revitalizing the satoumi of the Setonaikai region. His experiences span staying at fishery camps and going on fishing boats to experience a real catch, to spending 28 hours on the open sea on a fishing boat, and then going to the government office of Okayama Prefecture for his regular shift. Following his years as a public servant, Tanaka has definitely focused on the local side, where things are actually happening. The one-hour lecture started with an elaboration of satoumi. As defined by Kyushu University professor Tetsuo Yanagi, it is “an ocean that has better biological balance and production through having artificial changes made by humans.” According to Tanaka, this is common knowledge among fishermen. However, modernization changed the sea and human’s role in connection with it. In modern days, people have seen the reduction of catches and variety of species. 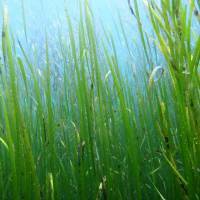 Tanaka focused on amamo (eelgrass) to revitalize the ocean. He worked with the residents of Hinase in Okayama Prefecture, namely the members of the Hinase Fishery Association, adding to a history of cultivation that stretches back to 1967 when the creation of value and management of fishery assets first came about thanks to the opening of the Gomi no Ichi fish market. Other projects throughout the years include cleaning the ocean floor, the amamo field revitalization technique policy, a plan between 11 prefectures to increase the Japanese Spanish mackerel population, the creation of an ocean farm, as well as various efforts regarding oysters and their properties. Amamo are known as the “cradle of the sea,” often serving as a feeding spot and bed for fish to spawn. 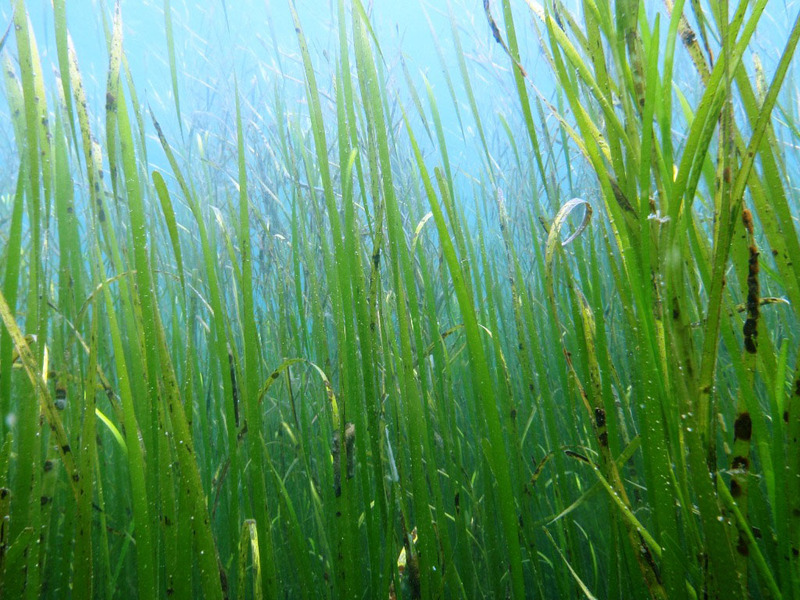 The seaweed also helps maintain a lower water temperature, creates oxygen while maintaining carbon dioxide levels and absorbs chemicals that cause red tide. The amamo fields that stretched for 590 hectares in Hinase just after World War II were reduced to less than 5 hectares because of rapid modernization. 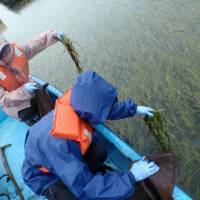 The Satoumi Research Council brought this number back to 250 hectares over 20 years. This work was possible because of the leadership and commitment of the fishery association. 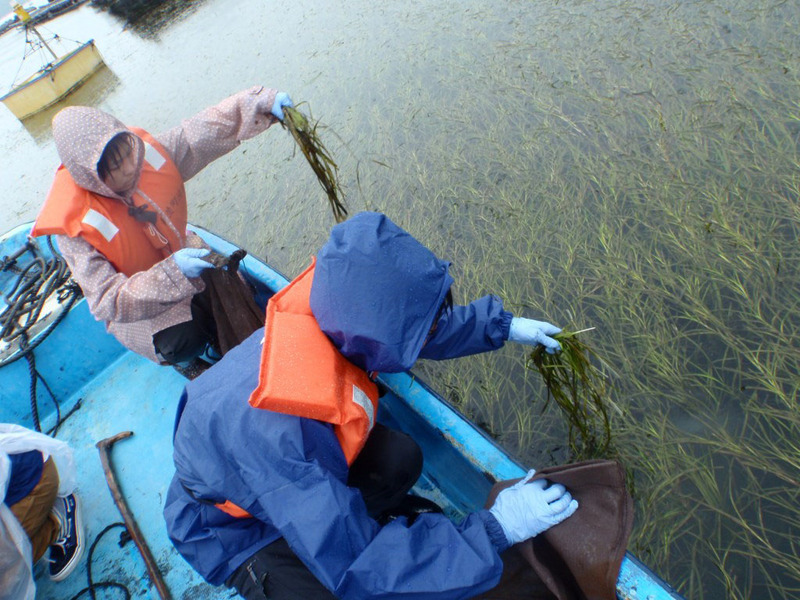 The prefecture, municipalities, NPOs, corporations and researchers all worked together to revitalize the satoumi. The movement began with 19 members from the fishery association and grew into a group effort of 83 members of association and municipal staff. Oyster shells also buoyed Hinase’s revitalization. Okayama Prefecture is Japan’s second-largest producer of oysters, meaning there is an abundance of leftover shells. Instead of using money to dispose of these shells, they were scattered across the amamo fields. The shells were a natural, cost-efficient solution to revitalize amamo. The shells kept the sea water from getting muddy, but more importantly, they held down the amamo roots and prevented them from floating away. Preservation of the amamo fields also has an educational effect in the community. Previously, the seaweed was an enemy to fishermen and the community because it got caught in boat propellers and would wash up on beaches. Tanaka worked with local children to resolve these issues. As drifting amamo have seeds in them, the children learned how to collect drifting amamo and seeds. These practical education experiences were presented at the National Amamo Summit, helping connect the younger and older generations of the community. Tanaka’s feelings toward the Hinase waters has connected those protecting Okayama’s sea to the satoumi and satoyama of the area. 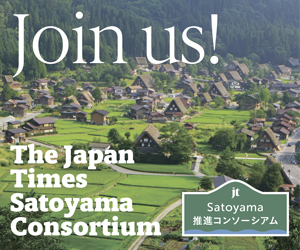 In the eyes of satoyama advocates and practitioners, this interconnectivity impacts all parties, human and otherwise, stretching from nature to city.